Ben and Fay are from Hong Kong and Beijing and live in Australia now. They were a very lovely and cute couple. 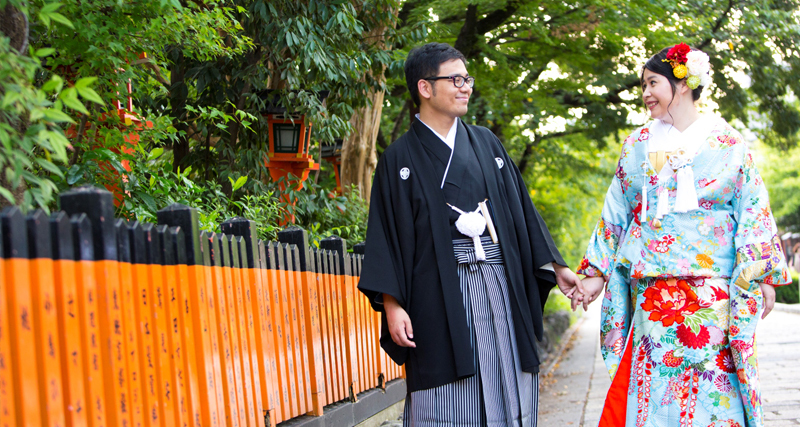 They chose a white wedding Kimono (Shiromuku) and a colored wedding Kimono (Irouchikake) for their shoot. They gave us many of sample photos of what shots they would like to take. During the shoot, it was really fun and happy. They were truly a friendly and lovely couple. Our heartiest congratulations to you. Happy Wedding!! !